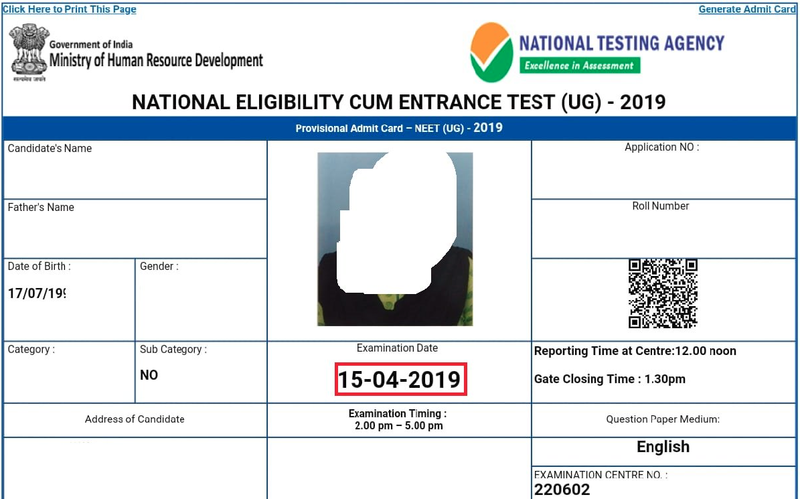 New Delhi, April 16: National Testing Agency (NTA), which is the exam conducting body, has re-issued the admit card of NEET 2019, after the original release was marked with discrepancies. 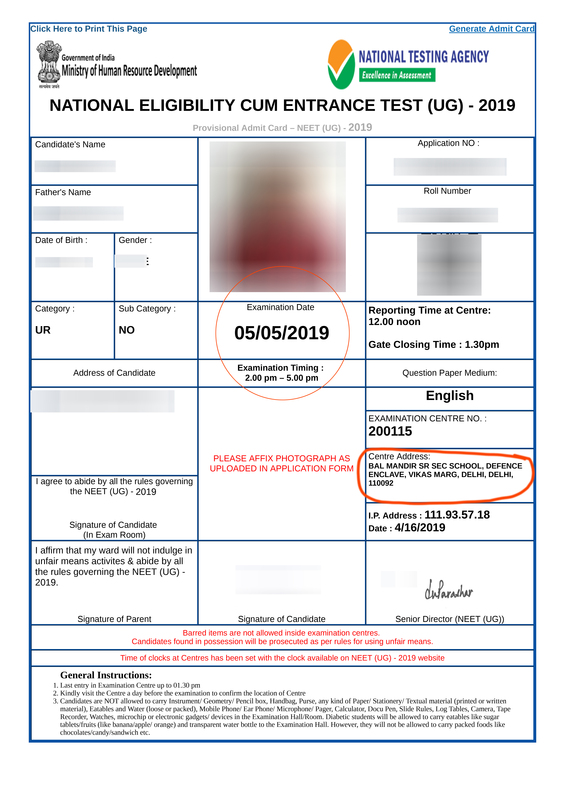 The admit card when released in the first instance on April 15 incorrectly showed the exam date as April 15, instead of May 5. Also, in some cases students are claiming they have been allotted exam centres in states other than their own. In the new release, the glitches relating to the exam date have been resolved. However, confusion related to allotment of exam centres still remains as it is not clear whether it the students at fault or the NTA making a mess of the allotment process. For example, if a candidate incorrectly selected an exam state, then NTA will not be responsible for problems arising because of such exam centre allotments. Interestingly, when NTA first released the admit card link, it was not operational for a long time. It was finally activated around 8 pm. When anxious candidates logged in to download the admit card, they found to their surprise the exam date was wrongly mentioned. NTA authorities even though didn’t directly acknowledge the glitches, they did come up with a press notification clarifying that the exam will be conducted on May 5 as scheduled. Also to their credit, they worked on the problem and fixed it around 10 pm, the same day. The newly released admit card has the correct exam date. The first instance of the admit card with incorrect exam date and the correct version with correct exam date are shown below. It is important that candidates ignore the first version of NEET 2019 admit card with incorrect exam date. Instead, they need to download the latest version with correct dates. Before downloading the admit card, go through the details carefully. The NEET admit card is available in online mode only, and will not be sent by post to individual candidates. The admit card is issued to only such candidates who have successfully filled the application form and paid the fees. To download NEET admit card 2019, go to NTA website and login by entering application number, date of birth and security code displayed on screen. If the admit card is lost or candidate has forgotten the password, it can be retrieved by using date of birth option given in NTA website. Any candidate who is not able to download his or her admit card needs to send an email to [email protected] with ‘NEET Admit Card’ as the subject line. LATEST: Students are complaining that mail sent to the said id is showing error messages like "id doesn't exist" or "couldn't deliver". The candidate will be allowed inside NEET 2019 exam hall only on display of the admit card. Also, along with the admit card, the candidate also needs to bring with them a passport size photograph, a valid photo ID proof, and PwD certificate (if applicable). The photo must be the same as the one uploaded at the time of filling the application form. The admit card will carry important details like name and roll number of the candidate, exam centre details, and date and time of exam. 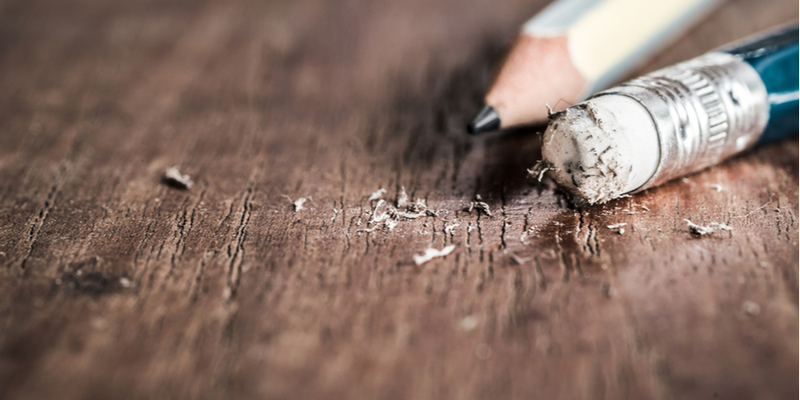 NEET 2019 is slated to be conducted in pen-and-paper mode on May 5. NTA in its official NEET UG brochure has mentioned that it will send the admit card to the registered email IDs of candidates. However, candidates are claiming that they are yet to receive the NEET admit card in their mail boxes. So, there is some confusion in this regard as well.